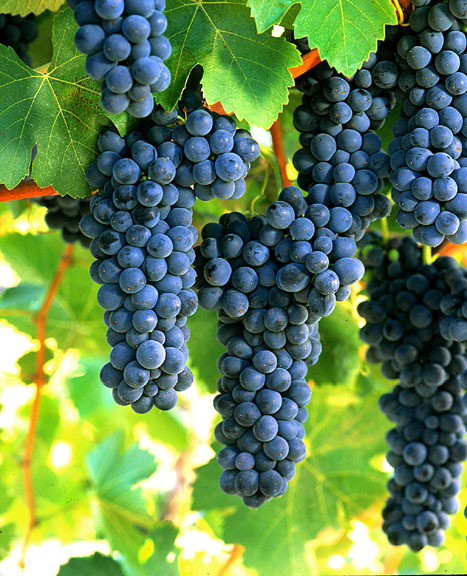 Syrah, or Shiraz, is a dark-skinned grape grown throughout the world and used primarily to produce powerful red wines. Whether sold as Syrah or Shiraz, these wines enjoy great popularity. Syrah is used as a varietal and is also blended. Following several years of strong planting, Syrah was estimated in 2004 to be the world’s 7th most grown grape at 352,000 acres. DNA profiling in 1999 found Syrah to be the offspring of two obscure grapes from southeastern France, Dureza and Mondeuse Blanche. It should not be confused with Petite Sirah, a synonym for Durif, a cross of Syrah with Peloursin dating from 1880.